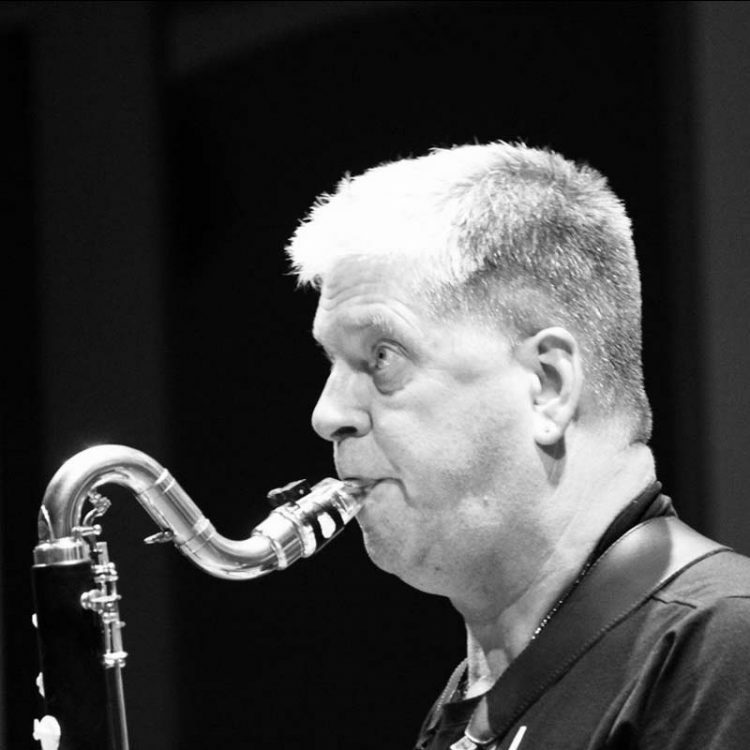 One of the ‘Big Three’ in bass clarinet history, Henri Bok (1950) is a very active worldwide ambassador of his beloved instrument, one to which he has devoted his life as a performer, teacher, improviser and composer. His unique rich warm sound can be heard on numerous recordings in various instrumental combinations and musical styles. Henri initiated projects and collaborations with Rob van Bavel (duo HeRo), Miquel Bernat (Duo Contemporain), Gustavo Beytelmann, Lawrence Cherney (Bass Instincts), Miny Dekkers (Duo Novair), José Luis Estellés, Mike Garson, Josef Horák, Rainer Maria Klaas, Bennie Maupin, Montanha (Duo Clarones), Justo Sanz, Louis Sclavis and Dawn Upshaw. In duo Hevans, together with tenor saxophonist Eleri Ann Evans, he explores all facets of this charming combination of single reeds, including extreme microtonality. Hundreds of compositions have been written for/dedicated to Henri Bok, pieces which he has performed at major musical events around the world. Henri teaches in Tilburg (Fontys), San Sebastián (Musikene) and Düsseldorf (Robert Schumann Hochschule). He is the author of ‘New Techniques for the Bass Clarinet’, was artistic director of the 1st World Bass Clarinet Convention in 2005 and has composed many works for bass clarinet. In recognition of his exceptional contribution to music, Henri was made a knight of the Order of the Netherlands Lion by King Willem Alexander in April 2014. Henri Bok uses a Selmer-Paris Privilege bass clarinet, a Pomarico mouthpiece, D’Addario reeds, a Silverstein Cryo4 gold ligature, a Bok/Wiseman carbon-fibre bell and a Wiseman carbon-fibre case.